A seasoned veteran will also be competing on this squad. Another Call of Duty roster has found a home for the upcoming season of WWII. Jason “Prophet” Nicoletti, Ethan “FA5TBALLA” Wedgeworth, Aaron “TuQuick” Chang, and Michael “Jsano” Najera have joined Cyclone, the organization announced earlier today. Prophet revealed on Aug. 21 that he planned to team with this set of players heading into WWII—but now they know what organization they’ll be representing at the start of the season. Prophet and FA5TBALLA most recently competed with Projekt Evil at the 2017 Call of Duty World League Championship, where they placed top 32. After a disappointing performance in pool play at CoD Champs 2017, Projekt Evil’s roster split up—but Prophet and FA5TBALLA chose to remain together as a team-of-two. 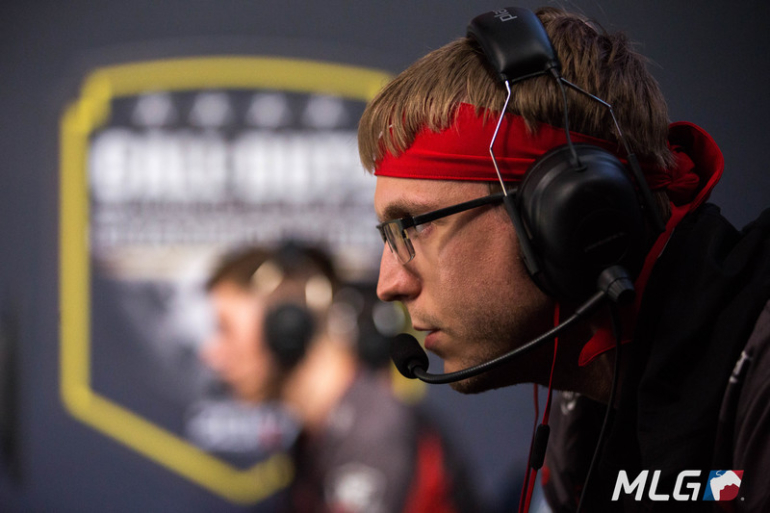 Long-time Call of Duty fans will recognize the name TuQuick, as he joins an extensive list of veteran players coming out of retirement for WWII. TuQuick is most well-known for playing with compLexity Gaming in 2013 right before coL turned into one of the greatest dynasties in Call of Duty history. After coming in fourth place at the 2013 Call of Duty World Championship, compLexity chose to drop TuQuick in favor of James “Clayster” Eubanks—and the rest is history. Last year’s CoD Champs is the most recent major LAN event that TuQuick attended, and he placed top 24 playing alongside FA5TBALLA on Pnda Gaming. Jsano, on the other hand, is a relatively unknown face in the Call of Duty community. But Prophet and FA5TBALLA have experience playing with Jsano—the trio competed together under VexX Gaming during Advanced Warfare from May to July 2015. This will be Cyclone’s first North American Call of Duty roster—the organization fielded a European team for the CWL London Invitational last January, and they placed top 16. It’ll be interesting to see how this team performs when the WWII season kicks off later this year.